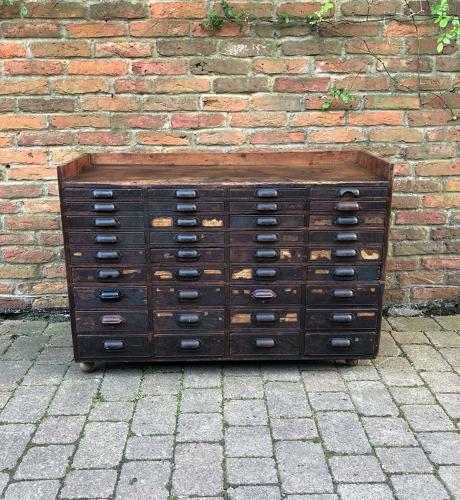 Late Victorian Pine Bank of Thirty Six Gradutating Printers Drawers. 4' long so great as a sideboard. A wonderful example and completely original (apart from the later castors which are very handy to move it). The drawers at the top are sectioned they get less sectioned as you go down and they get larger.